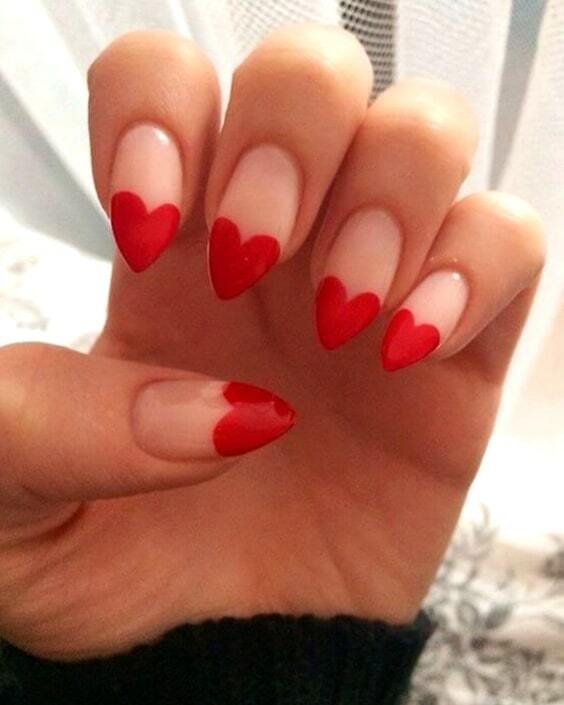 Valentine’s Day is on the way! 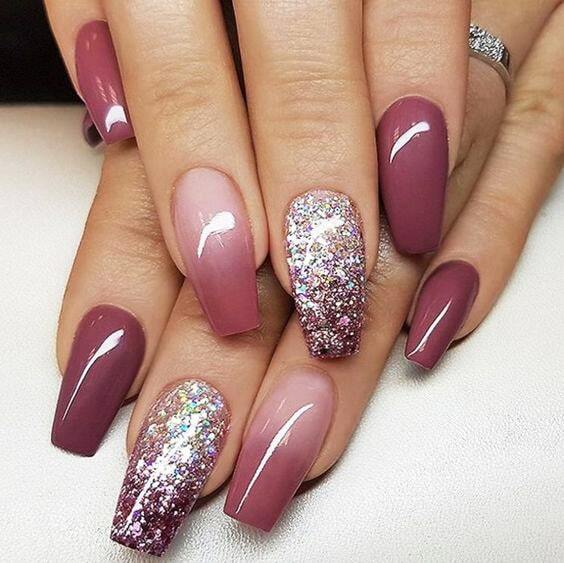 It’s the perfect day to put the glitters, hearts and bold colors on your fingertips. 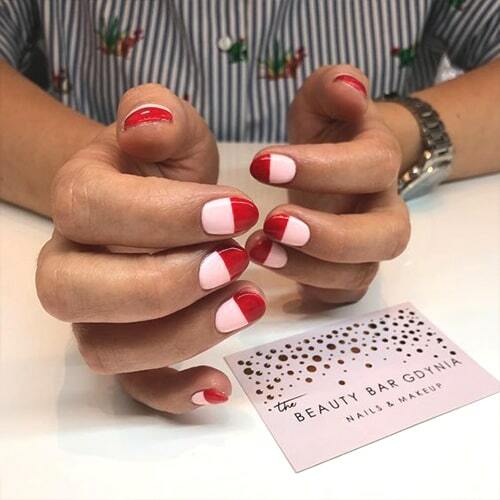 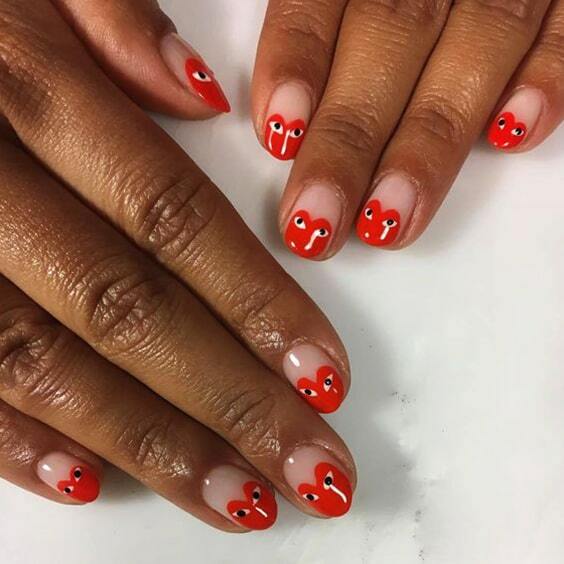 Try something different and easy “but not cheesy” nail designs that suit exactly to your Valentine’s Day outfit on this February 14. 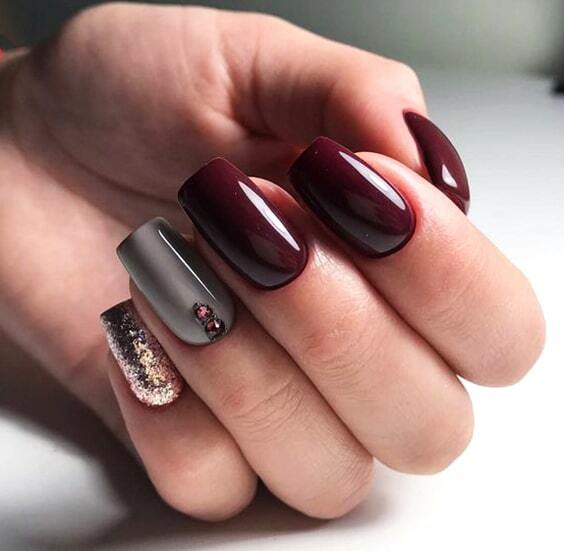 Go out of the classic red nails and trust your design skills, you can simply do it yourself at home. 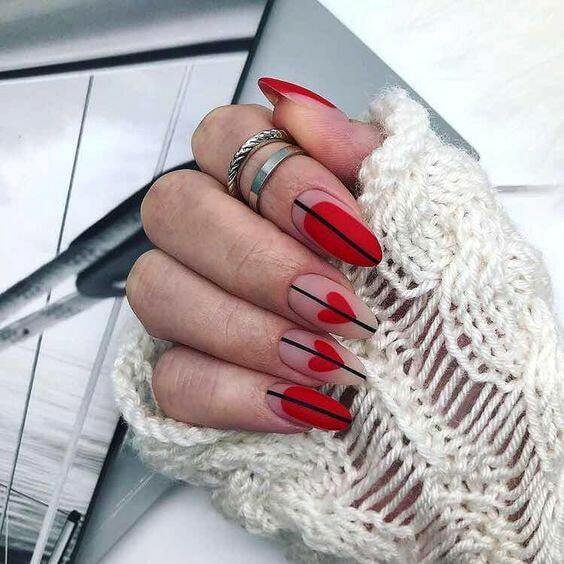 When it comes to celebrating Valentine’s Day whether with your bf/gf or pals, it’s time to look fab AF from top to bottom including your mani. 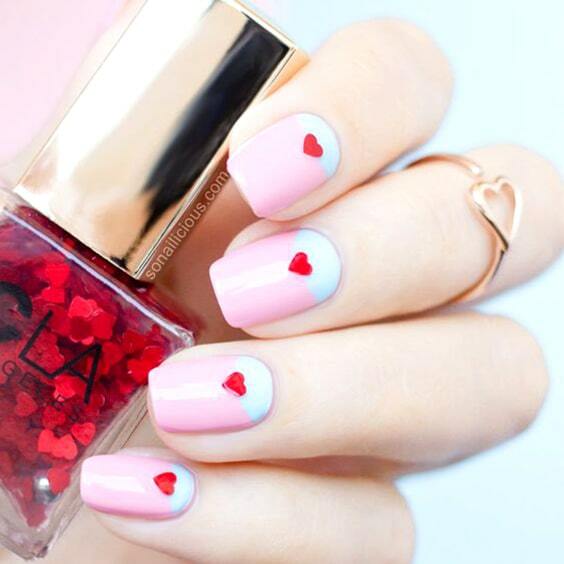 So, here are 12 Super Cute DIY Nail Designs To Try on Valentine’s Day. 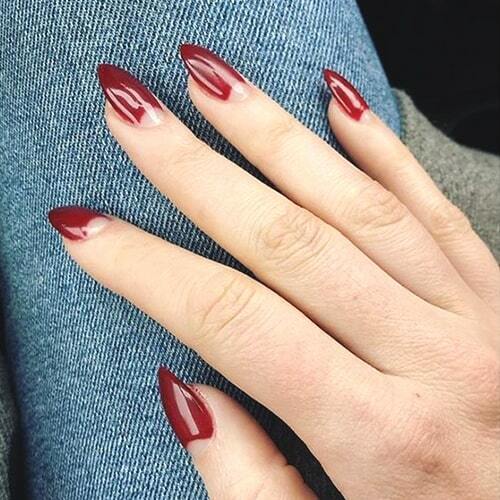 Let’s start with the biggest icon of Valentine’s Day. 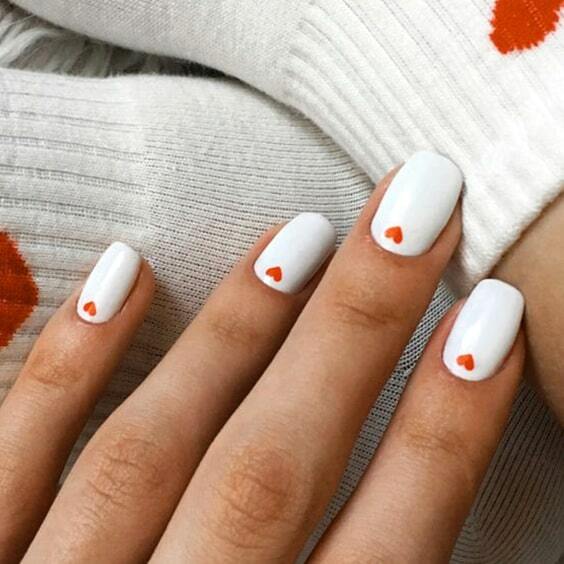 Of course, I’m talking about HEARTS! 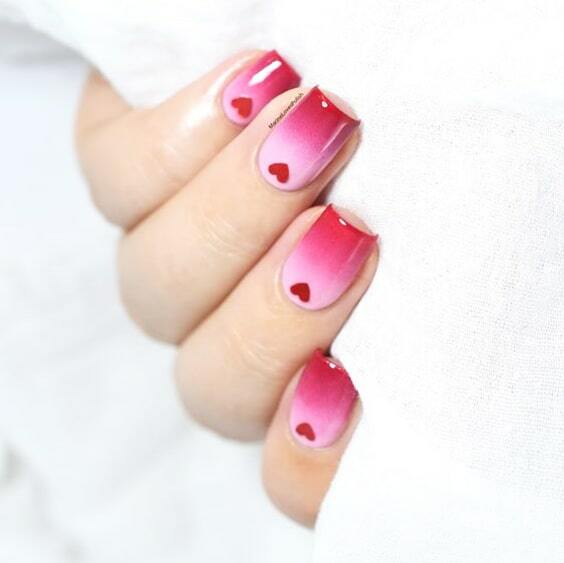 You can draw small hearts on a favorite base color you choose. 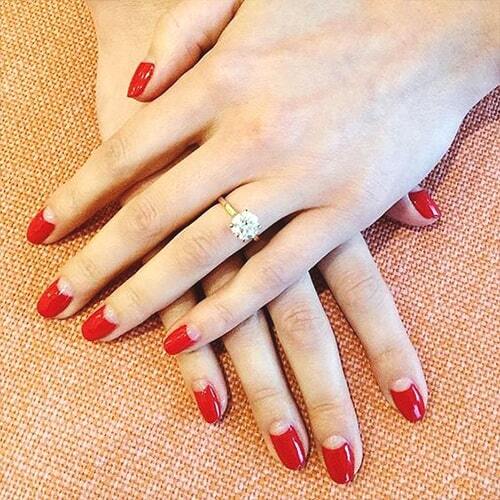 To make it more glamorous, paint your ring fingertips with glittery nail polish or embellish them with tiny gems. 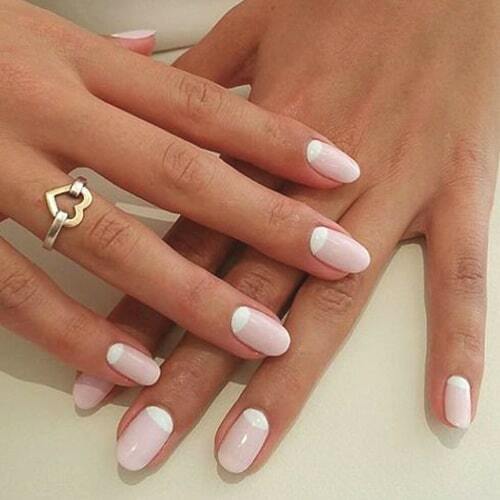 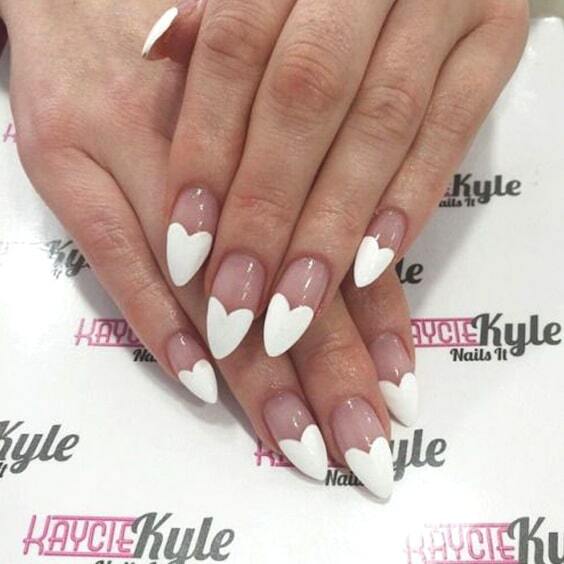 Keep your sweet hearts nails as simple as possible, if you don’t want to show off. 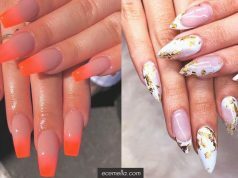 Conversely, you may want to fascinate everyone with fancy embellishes and colorful hearts all over on your fingernails, that’s up to you. 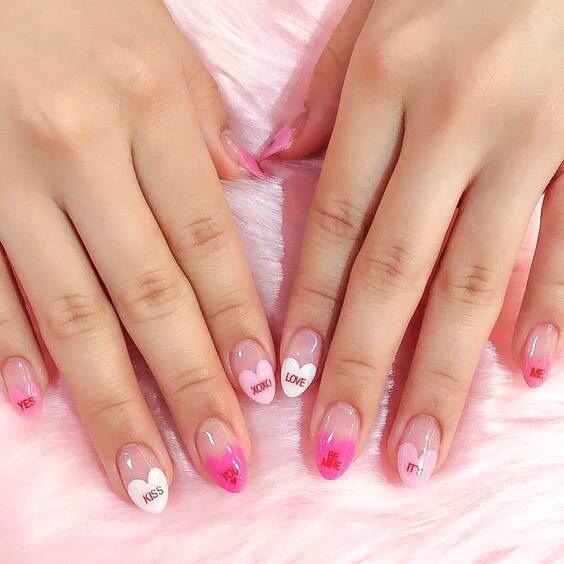 All these hearts adorned nail designs will inspire your inner nail designer. 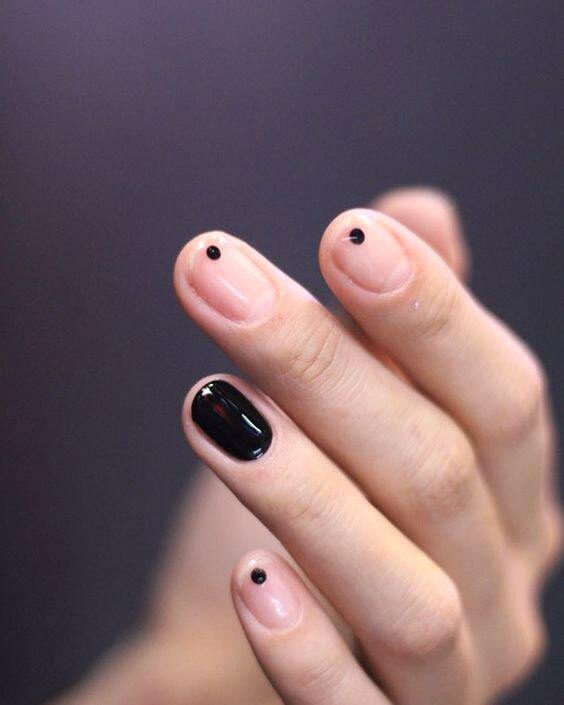 It’s the best minimalist DIY nail design idea to put some dots on your fingernails. 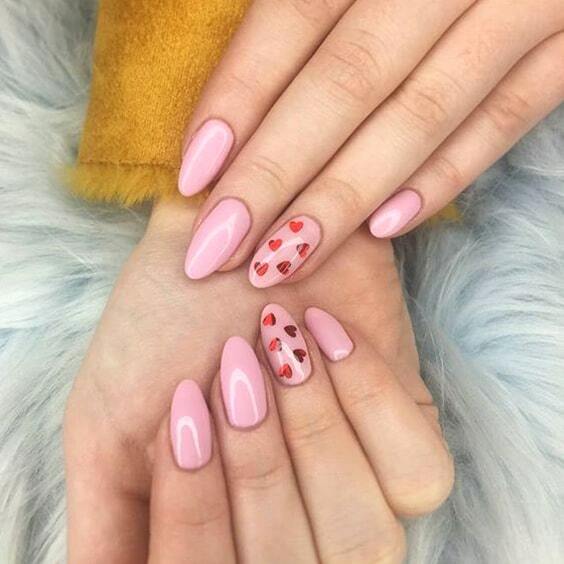 Dots are the perfect time-saver if you are looking for an easy-peasy nail design on Valentine’s Day. 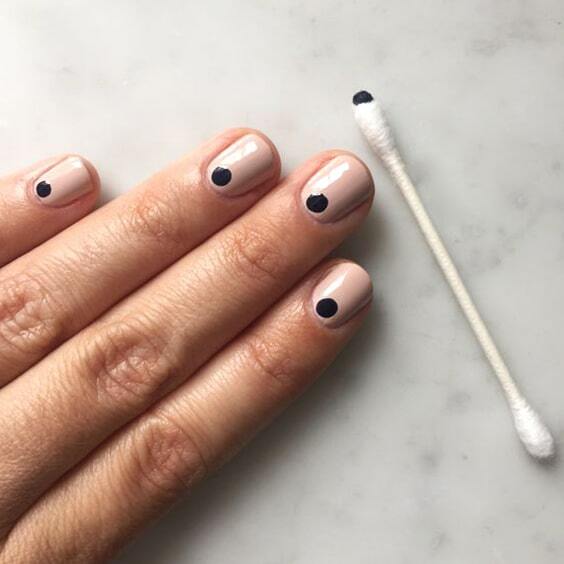 Also, minimal dots nail design is versatile that you can just put dots on every one of your nails or paint all your nails one color and just leave your ring fingernail dotted. 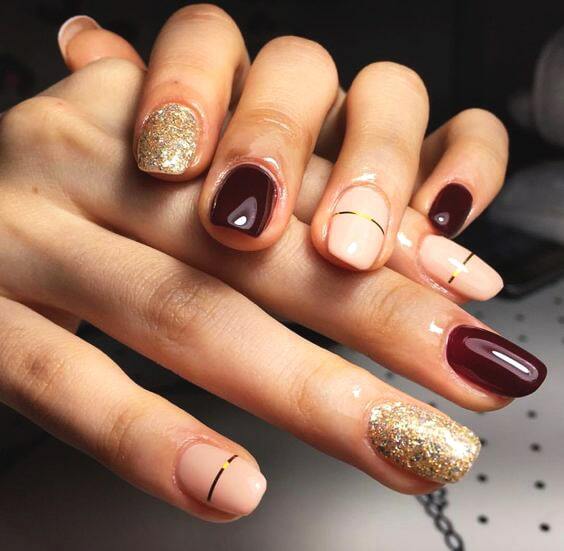 Besides the red and pink, one of the most preferred colors on Valentine’s day is the golden color. 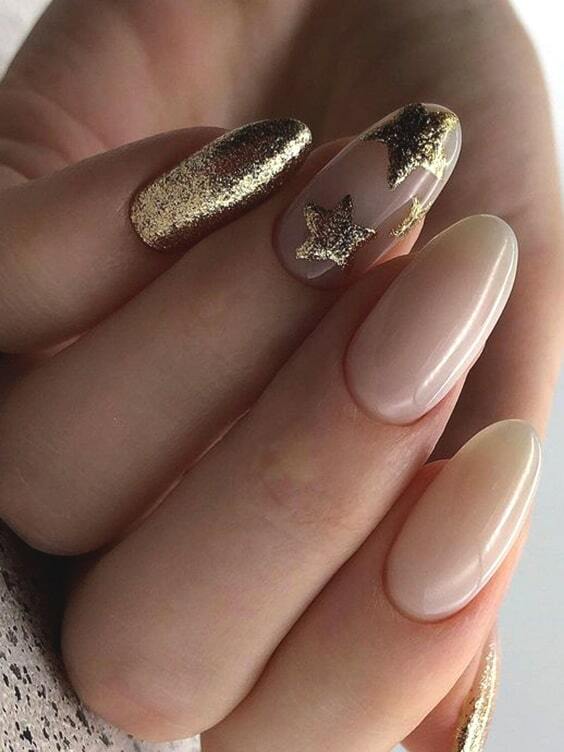 So, what are we going to do with gold and all of those fluttering hearts? 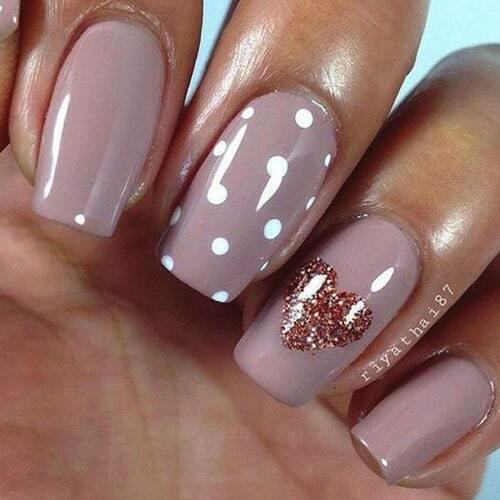 Add some cute golden hearts on your fingernails to richen your Valentine’s day look. 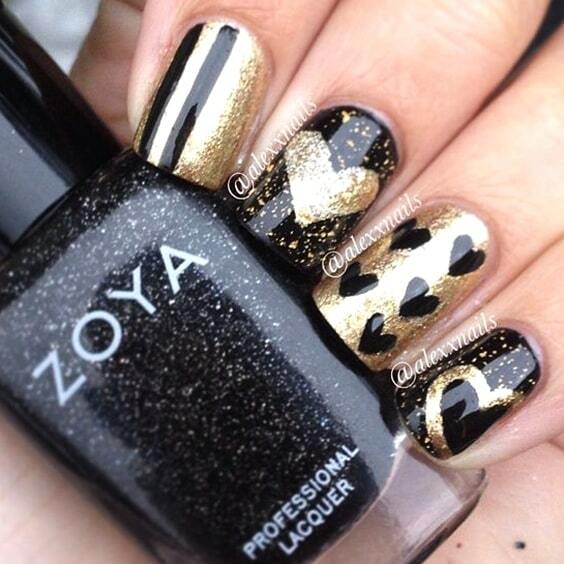 You’ll see the difference after putting the golden hearts on your mani. 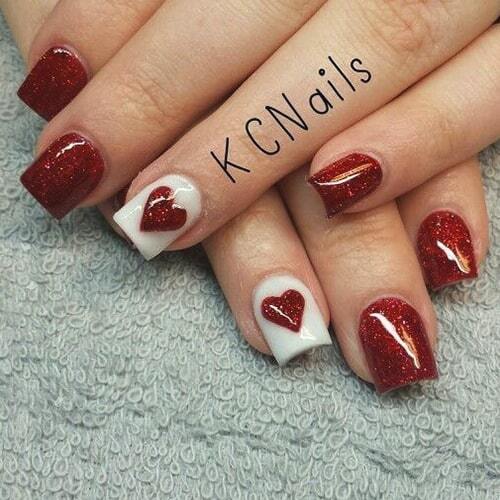 Valentine’s Day needs more super quick and appealing nail designs! 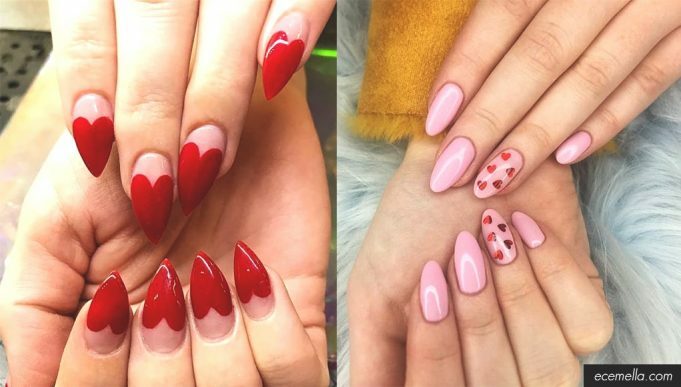 These cute DIY nail designs just for your sweet Valentine’s day. 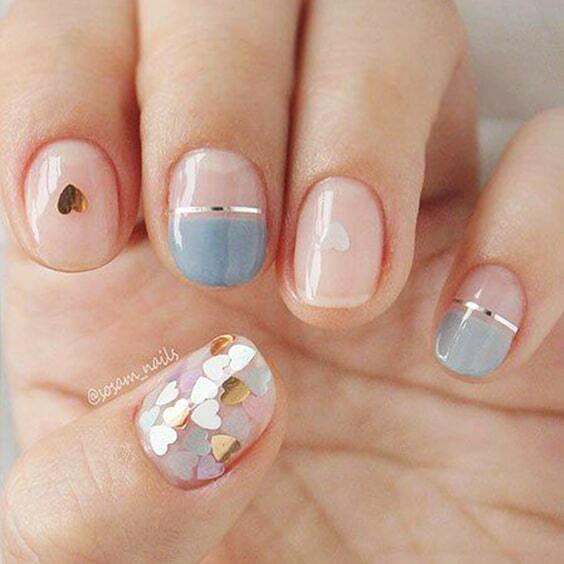 You can get these nail designs by keeping tiny hearts and pastel colors in the foreground. 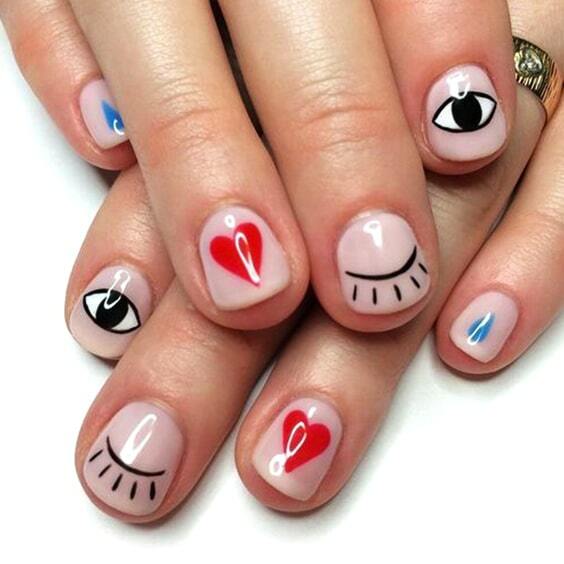 Be ready to make them admire your Valentine’s day nail design. 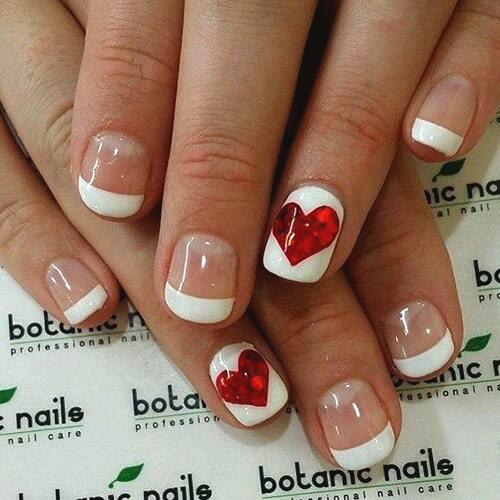 If you have a dine & wine style plan for Valentine’s day night, you might want to bring it on your nails. 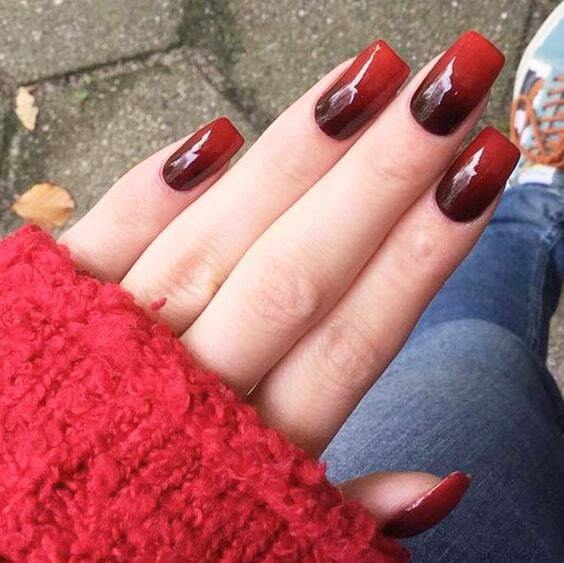 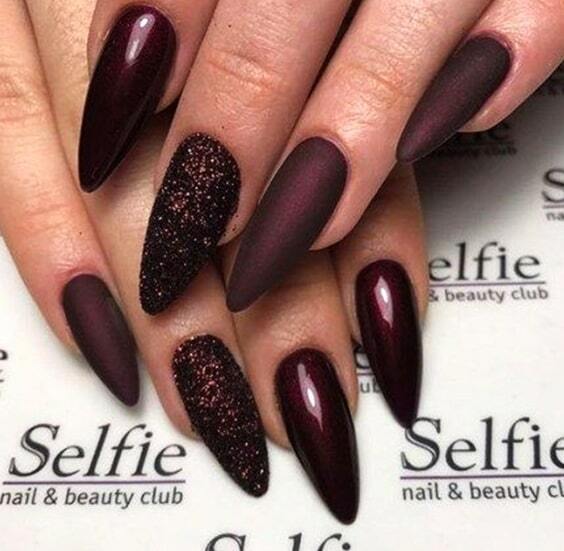 The harmony of the color of red wine and the nails will be inevitably the most remarkable scene of the night. 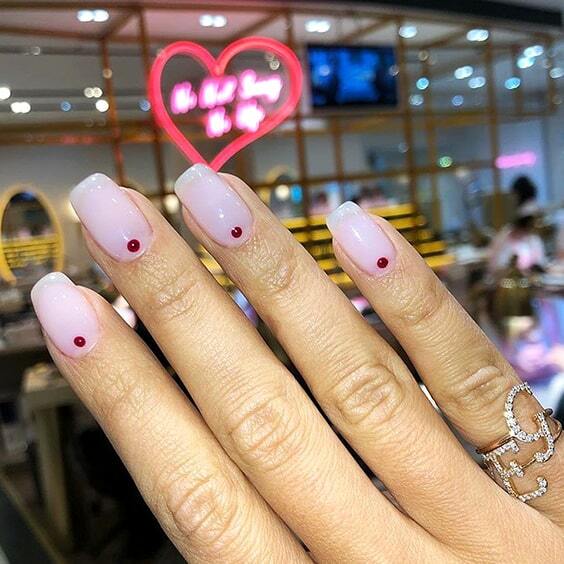 But, to try some uncommon burgundy nail designs for this Valentine’s day, scroll down to get inspiration from our burgundy DIY nail designs! 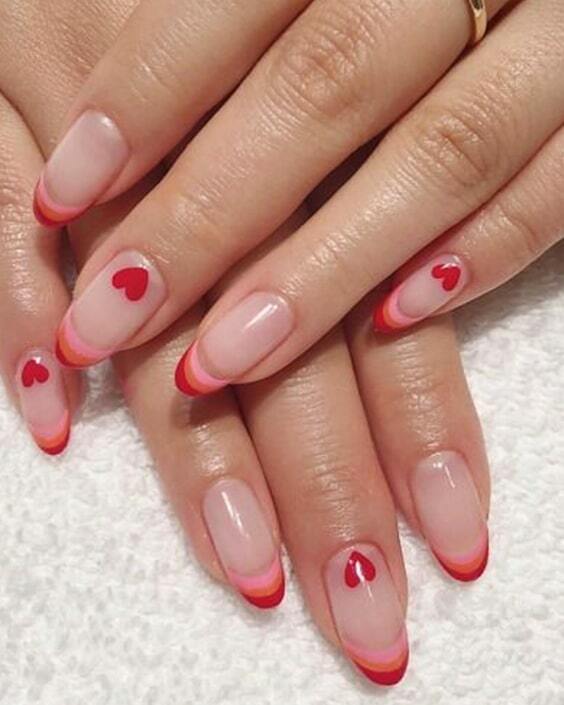 I guess the popularity of the ombre nail trend will never pass, especially on Valentine’s day! 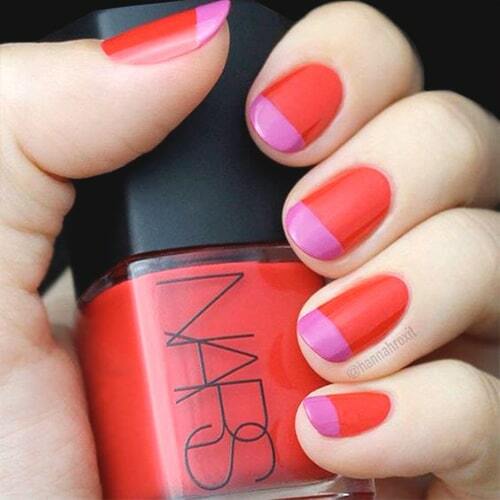 The tricky part of ombre nail design is using a sponge to apply the nail polish to catch the gradient of colors. 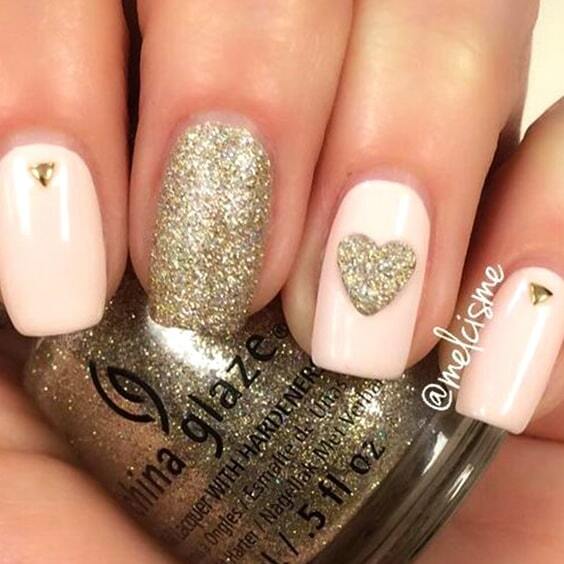 If you want a little bit fabulous look, add a coat of glitter or heart ornaments. 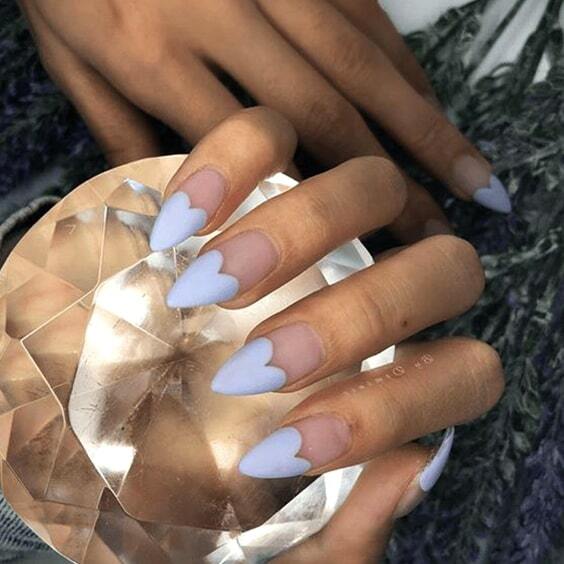 Reveal your hidden nail artist on this Valentine’s day by trying DIY ombre nails! 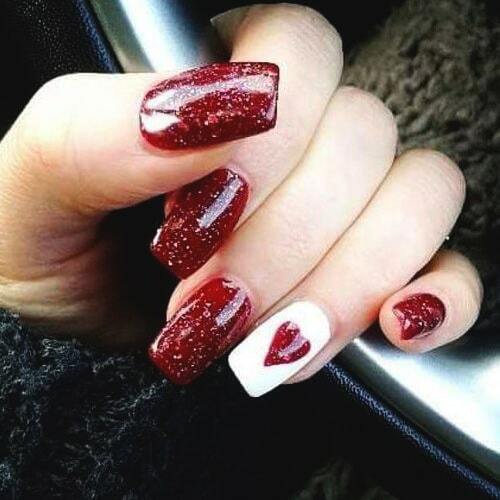 Glitters and hearts are both the must-have on Valentine’s day, so why don’t you gather them together to create glittery hearts on your fingernails? 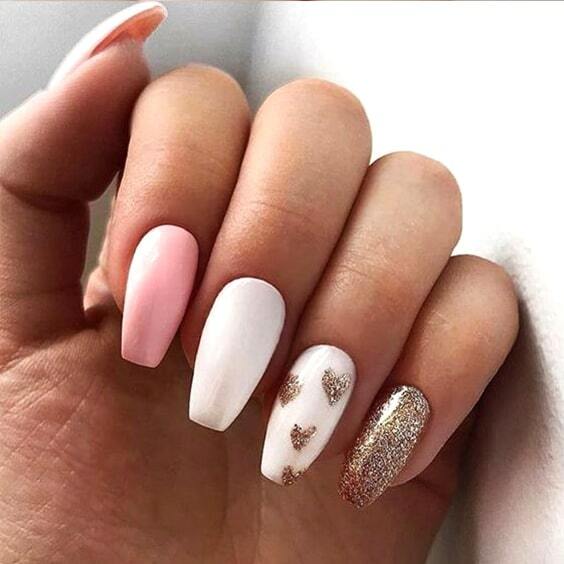 Apply one of your favorite colors as the base on your nails, then grab an elegant glittery nail polish to decorate your nails with cute glittery hearts! 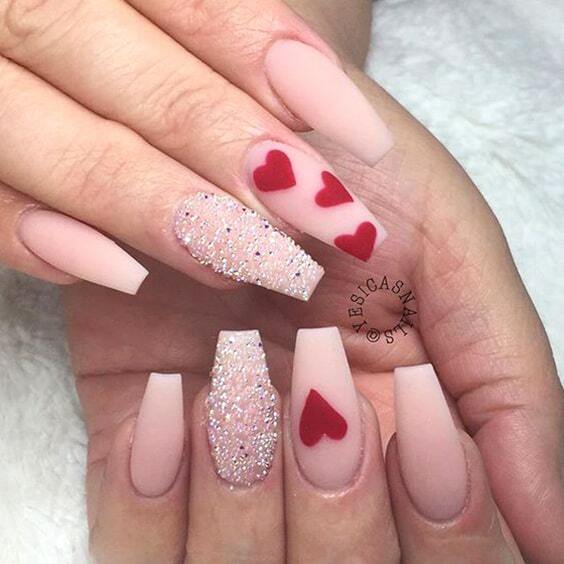 These inspirational glittery hearts nails will make you move on to try them for Valentine’s day. 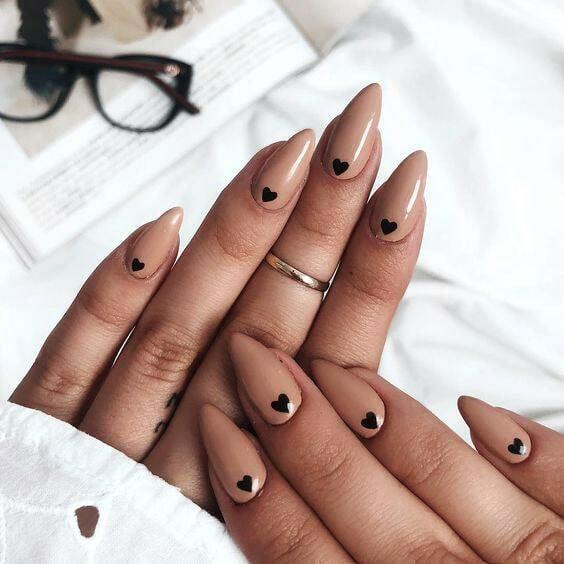 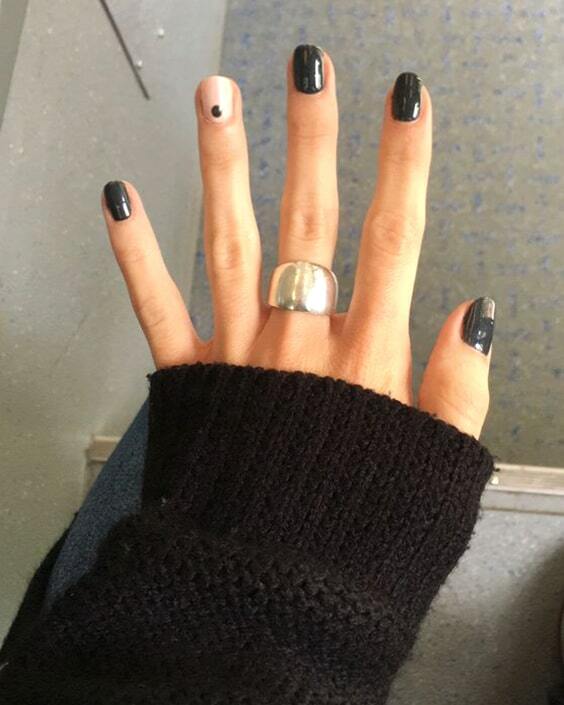 Make the most romantic day of the year classy AF with your moon nails design. 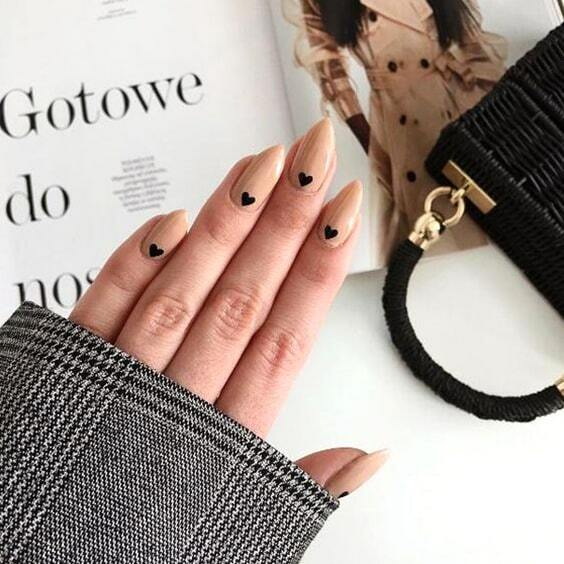 Get the perfect moon nails by sticking a piece of tape across your fingernail, then apply the nail polish to the small “moon shaped” part of your nail. 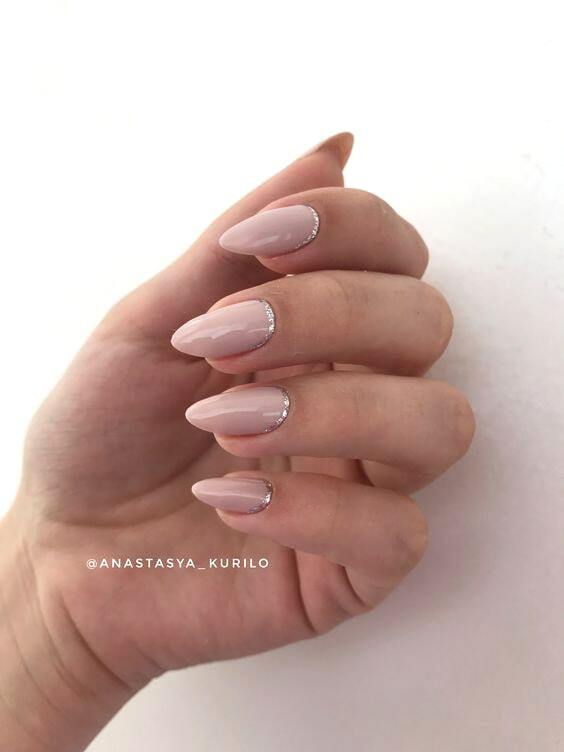 The look is done! 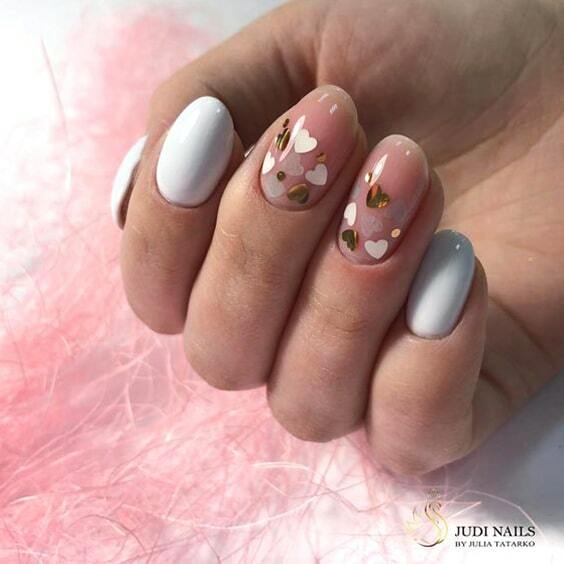 Rest of the moon nail design is up to you whether decorate the nails with your imagination or just leave the moon shines! 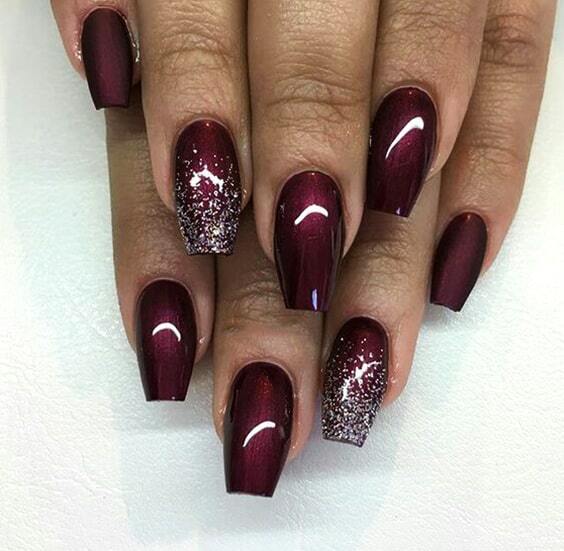 Let your nails brighten your poetic night, not the stars above you! 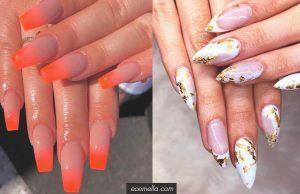 If you are wondering about how to the starry nail design efficiently, here is a clear how-to video for you. 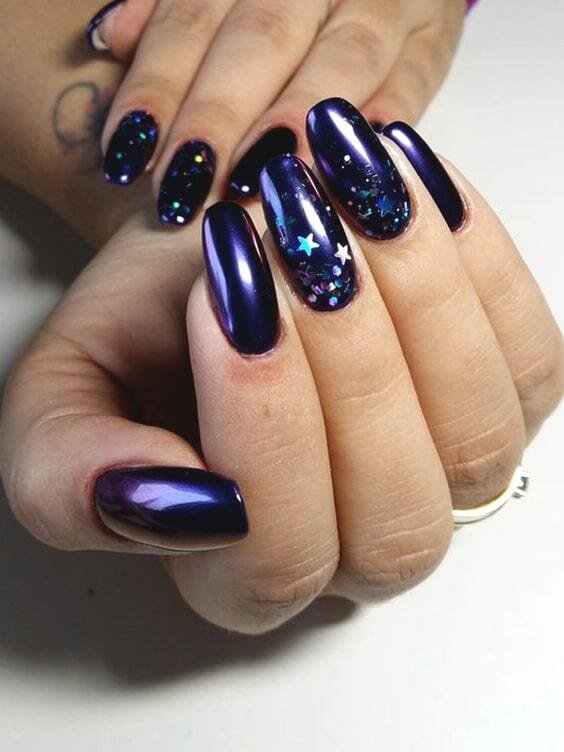 You can paint the stars yourself or just put a sticker on it. 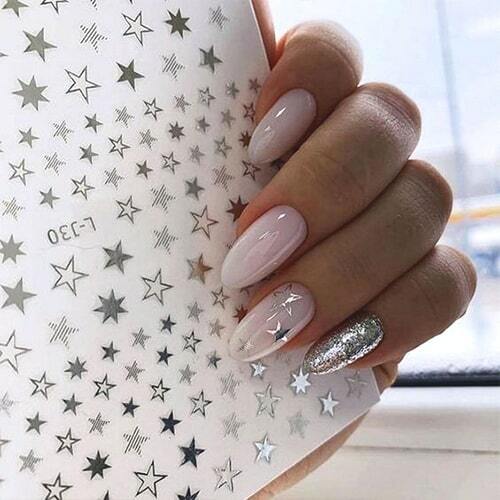 😉 Starry Valentine’s day nail design may be an unusual look, but it’s definitely an eye-catchy nail art idea on a night event. 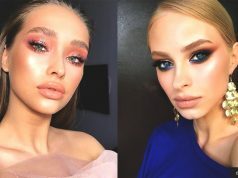 The contrast colors trend is getting bigger and bigger day by day as we’ve seen it in every fashion show on the supermodels. 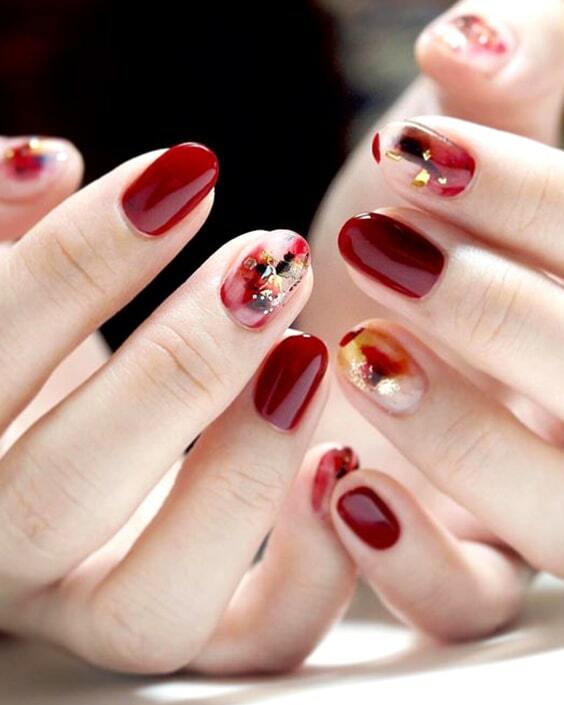 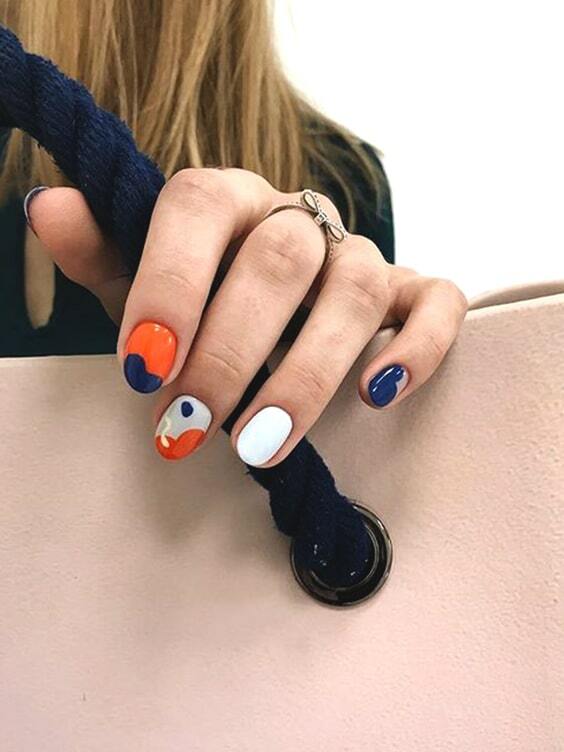 Thus, the contrast colors got in whole fashion and beauty trends and finally splashed to the nail art. 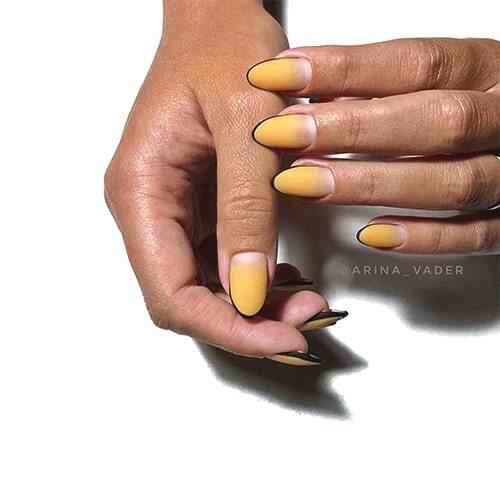 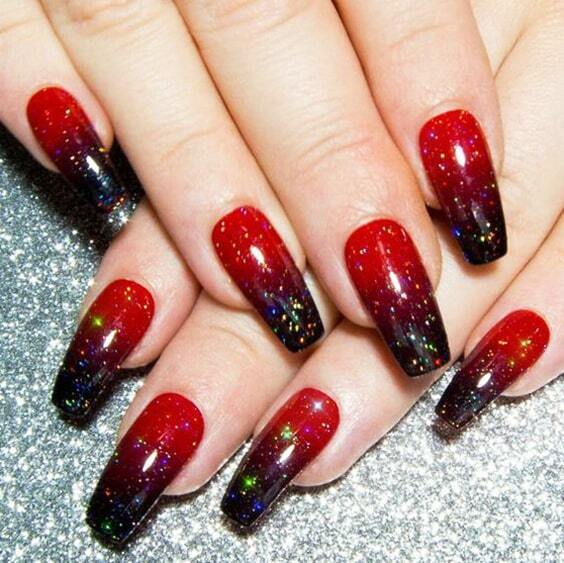 Pink and red, purple and yellow, orange and black; these are flawlessly fitted each other on the nails. 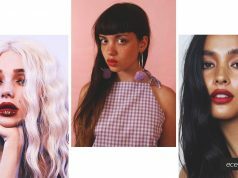 It’s just a great day to experience this raddest trend in the beauty game. 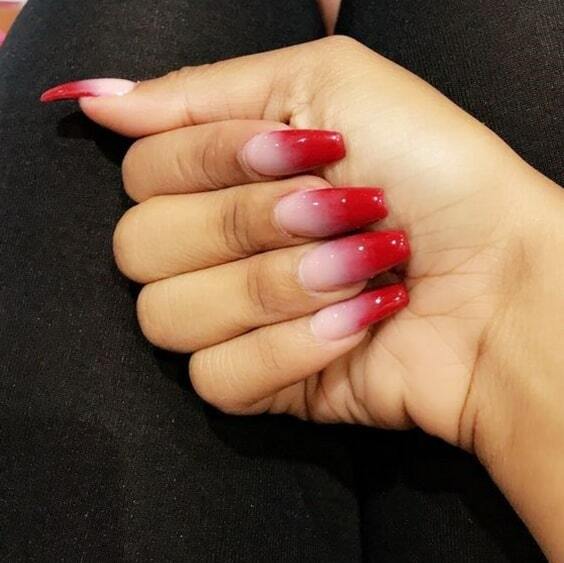 I’m definitely loving the information. 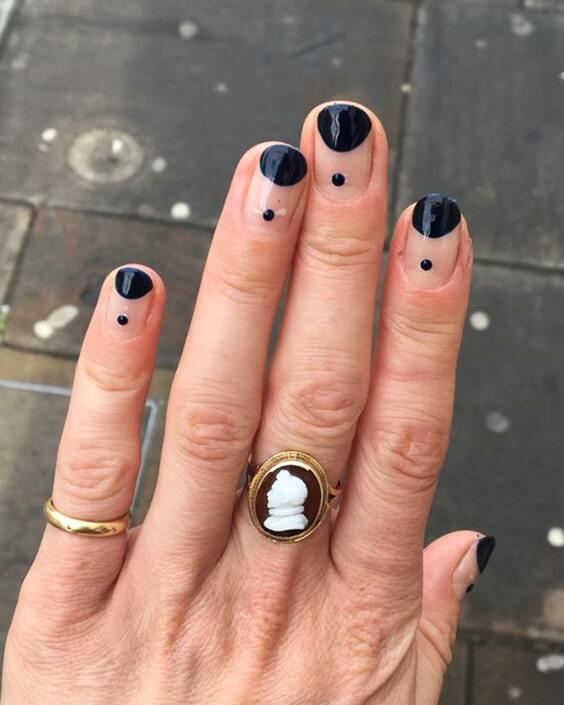 I’m book-marking and will be tweeting this to my followers! 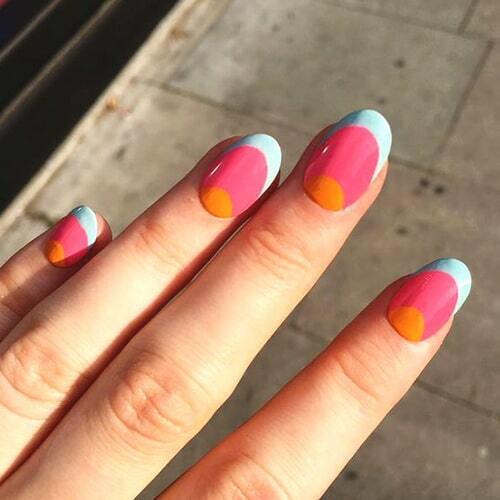 Great blog and superb style and design. 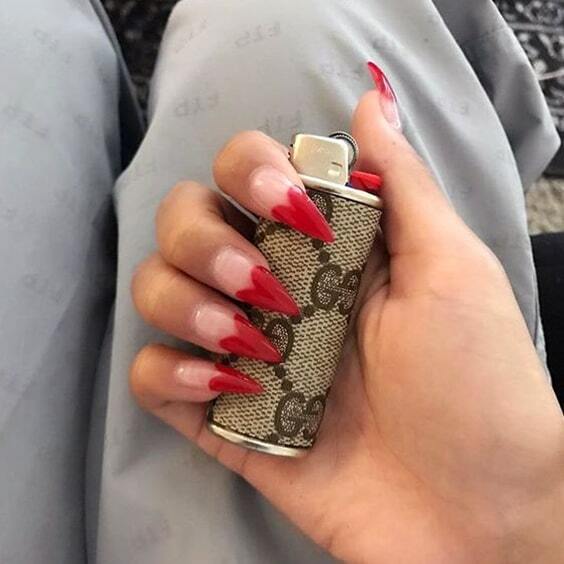 I couldn’t refrain from commenting. 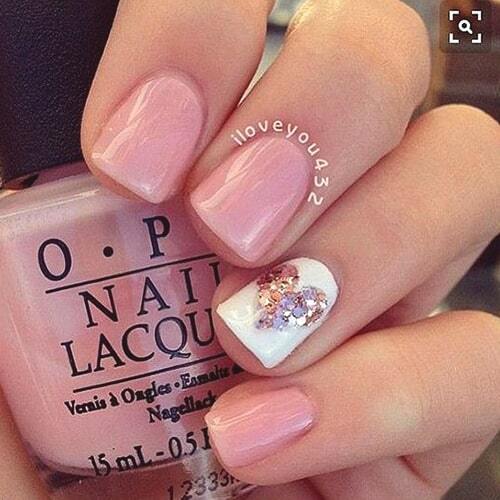 It’s beautiful price sufficient for me. 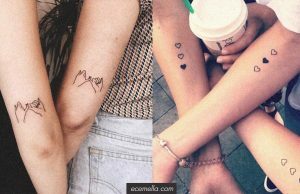 In my opinion, if all site owners and bloggers made excellent content as you did, the internet will probably be a lot more useful than ever before.